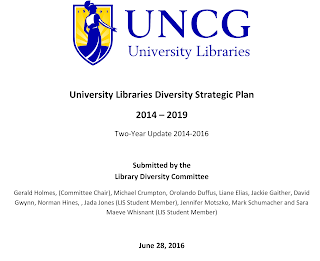 The Diversity Committee has submitted a two-year update to the University Libraries Diversity Strategic Plan. University Libraries’ diversity activities and action items for 2014-2015 and 2015-2016 are highlighted in the update report. We are grateful to the University Libraries’ faculty and staff for their continuing generous support of our Diversity Strategic Plan. Download and view the report here.